Mary Morin’s first classification talk was with the Aylmer Rotary Club 10 years ago almost to the day. Today she updated the Rotary Club of St. Thomas about her life and involvement with Rotary. Mary has seen more of Canada than we can imagine; New Brunswick, Labrador, Northern Quebec, Kirkland Lake. Her father was in the Canadian Forces. She has been a tax preparer and a bookkeeper, then she owned a video store for 27 years in Aylmer. Although Mary retired from that business, she retains the property. She has two sons who live in New Brunswick and Calgary and two grandsons in St. John, New Brunswick as well as a sister. She declines to visit there in February these days! Because her family is in various parts of Canada she gets to see how Rotary Clubs operate. Last year she enjoyed watching how the Rotarians run the Calgary Stampede breakfast. Mary has also visited many Rotary Parks across Canada. In the Aylmer club, she has helped with projects such as the band shell restoration and the water park. Barbara Warnock also gave her first classification talk to the Aylmer Rotary Club (1991). 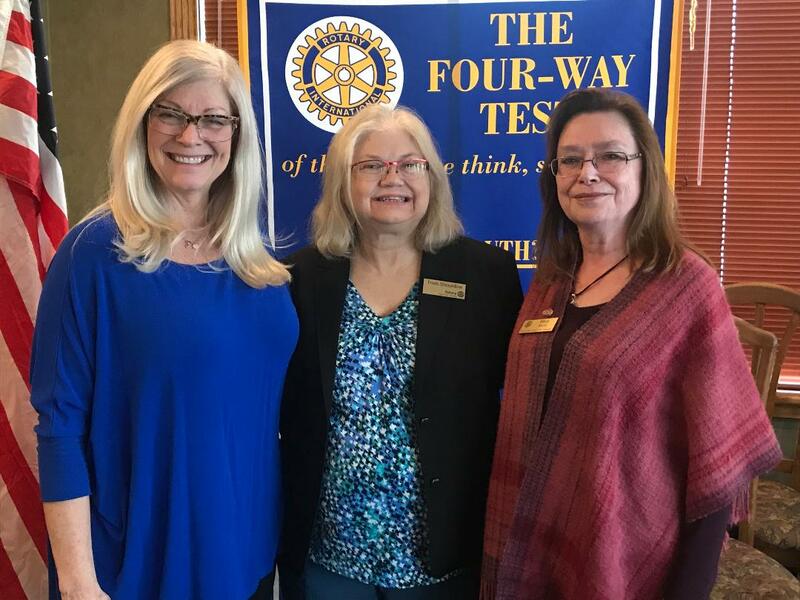 She believes that her involvement along with husband Bob, with the Rotary Club has been an example to their children because they are likewise very community-minded; they are involved with Victim Services and Big Brothers and Ashley was the first president of the London Centennial Satellite club. Barbara was born in St Thomas and attended Huron College. In 1983 she started a bulk food store called The Main Ingredient in Aylmer and that store remains and is run as The Prime Ingredient now. She is also the office manager at her husband Bob’s chiropractic office. Barb’s extensive work with the Aylmer Club includes the Easter Seals project, the tundra swans project, the skateboard park and most notably support of the community theatre. Barb believes that the Aylmer Club was good at finding money elsewhere to support their activities. Barbara also recalls her time helping out with the group study exchange programs. In 2003 the Philipine-Canada exchange was postponed for a year because of the SARS epidemic. Barbara saw the world with fresh eyes when in 2007 there was the exchange with Australia in which she participated. One farmer did not like trees because they soak up too much groundwater in Australia; we can’t imagine a world without trees. Australians fields of dirt are shallow and do not produce lush crops, thus water conservation is extremely important. The Aylmer Club gave up its charter after 87 years of service and we are blessed that both Barb and Mary transferred their membership to our club. Barb and Mary both look forward to our outing with them on February 13th, 2019. Be sure not to miss that event! Lunch will be at Noah’s Ark on Talbot Street in Aylmer at 12 noon. Mary and Barb will give us an historical and backstage tour of the Aylmer Community Theatre after lunch. Gerry won the 50/50 draw. 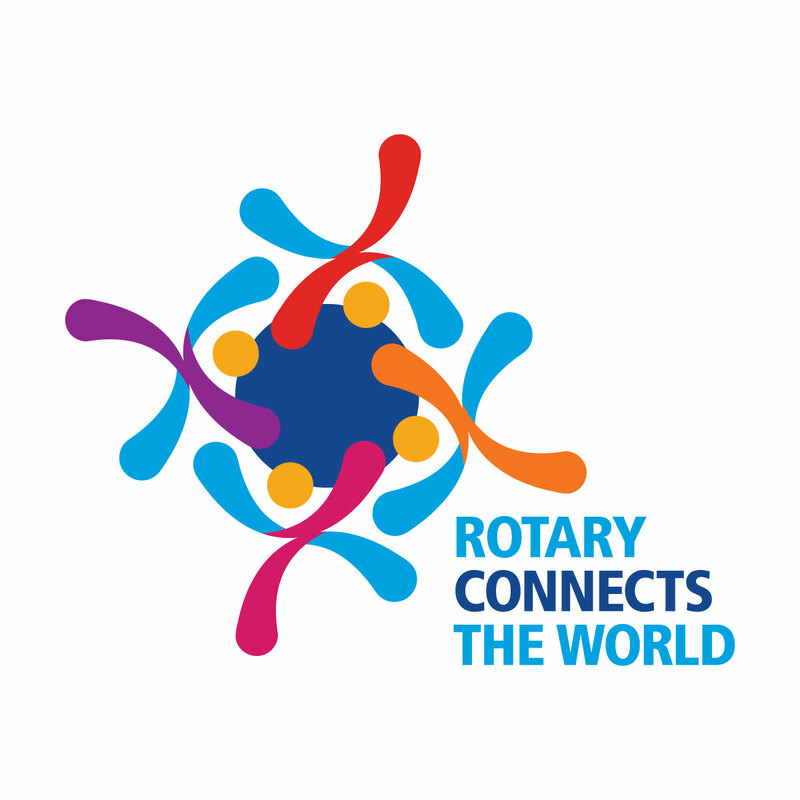 Malcolm presented the new logo and theme for 2019-2020 "Rotary Connects The World"
Malcolm-1 for Mary and Barbara’s classification talks.